1. Eden CG, Sultana SR, Murray KH, et al. Extraperitoneal laparoscopic dismembered fibrin-sealant pyeloplasty: medium-term results. Br J Urol 1997; 80:382. 2. Bergel S. Uber Wirkungen des fibrins. Dtsch Med Wochenschr 1909; 35:633. 3. Grey E. Fibrin as a hemostatic in cerebral surgery. Surg Gynecol Obstet 1915; 21:452. 4. Seddon HJ. Fibrin sutures of human nerves. Lancet 1942; II:87. 5. Cronkite EP, Lozner EL, Deaver JM. Use of thrombin and fibrinogen in skin grafting. JAMA 1944; 124:976. 6. Radosevich M, Goubran HI, Burnouf T. Fibrin sealant: scientific rationale, production methods, properties, and current clinical uses. Vox Sang 1997; 72:133-143. 7. Gibble JW, Ness PM. Fibrin sealant: the perfect operative sealant? Transfusion 1990; 30:741. 8. Parise LV, Smyth SS, Coller BS. Platelet morphology, biochemistry and function. In: Beutler E, Coller BS, Lichtman MA, Kipps TJ, Seligsohn U, eds. Williams Hematology. 6th ed. New York: McGraw-Hill, 2001:1357-1408. 9. Loscalzo J, Inbal A, Handin RI. von Willebrand protein facilitates platelet incorporation into polymerizing fibrin. J Clin Invest 1986; 78:1112. 10. Mosesson MW. Fibrin polymerization and its regulatory role in hemostasis. J Lab Clin Med 1990; 116:8-17. 11. Hermans J, McDonagh. Fibrin: structure and interactions. Semin Thromb Hemostat 1982; 8:11-24. 12. Matras H. Fibrin seal: the state of the art. J Oral Maxillofac Surg 1985; 43:605-611. 13. Busuttil RW. A comparison of antifibrinolyic agents used in hemostatic sealants. J Am Coll Surg 2003; 197:1021-1028. 14. Levy JH. Hemostatic agents and their safety. J Cardiothorac Vasc Anesth 1999; 13(suppl):6-11. 15. Beierlein W, Scheule AM, Antoniadis G, Braun C, Schosser R. An immediate, allergic skin reaction to aprotinin after reexposure to fibrin sealant. Transfusion 2000; 40:302-305. Ultimately, we are responsible to our patients and we must therefore navigate through the marketing machines and the latest trends to identify the products that are the safest, most effective, easiest to apply, and the most cost effective. 16. Scheule AM, Beierlein W, Wendel HP, Eckstein FS, Heinemann MK, Ziemer G. Fibrin sealant, apro-tinin, and immune response in children undergoing operations for congenital heart disease. J Thorac Cardiovasc Surg 1998; 115:883-889. 17. Scheule AM, Beierlein W, Lorenz H, Ziemer G. Repeated anaphylactic reactions to aprotinin in fibrin sealant. Gastrointest Endosc 1998; 48:83-85. 18. Scheule AM, Beierlein W, Wendel HP, Jurmann MJ, Eckstein FS, Ziemer G. Aprotinin in fibrin tissue adhesives induces specific antibody response and increases antibody response of high dose intravenous application. J Thorac Cardiovasc Surg 1999; 118:348-353. 19. Orsel I, Guillaume A, Feiss P. Anaphylactic shock caused by fibrin glue. Ann Fr Anesth Reanim 1997; 16:292-293. 20. Kon NF, Masumo H, Nakajima S, Tozawa R, Kimura M, Maeda S. Anaphylactic reaction to aprotinin following topical use of biological tissue sealant. Masui 1994; 43:1606-1610. 21. Crosseal fibrin sealant, http://www.crosseal.com, April 9, 2004. 22. Crosseal Fibrin Sealant (Human) Package Insert. Washington, D.C.: American Red Cross, 2003. 23. Mankad PS, Codispoti M. The role of fibrin sealants in hemostasis. Am J Surg 2001; 182:12S-28S. 24. Shekarriz B, Stoller MLs. The use of fibrin sealant in urology. J Urol 2002; 167:1218-1225. 25. Cornum RL, Morey AF, Harris R, et al. Does the absorbable fibrin adhesive bandage facilitate partial nephrectomy? J Urol 2000; 164:864-867. 26. Morey AF, Anema JG, Harris R, et al. Treatment of grade 4 renal stab wounds with absorbable fibrin adhesive bandage in a porcine model. J Urol 2001; 165:955-958. 27. Bishoff JT, Cornum R, Perahia B, et al. Laparoscopic heminephrectomy using a new fibrin sealant powder. Urol 2003; 62:1139-1143. 27. Oz M, Cosgrove DM III, Badduke BR, et al. Fusion Matrix Study Group: controlled clinical trial of a novel hemostatic agent in cardiac surgery. Ann Thorac Surg 2000; 69:1376-1382. 29. Reuthebach O, Lachet ML, Vogt P, Schurr U, Turina M. Floseal: a new hemostyptic agent in peripheral vascular surgery. Vasa 2000; 29:204-206. 30. Weaver FA, Hood DB, Zatiria M, Messina LM, Badduke B. Gelatin-thrombin-based hemostatic sealant for intraoperative bleeding in vascular surgery. Ann Vasc Surg 2002; 16:286-293. 31. Renkens KL Jr., Payner T, Leipzig TJ, et al. Multicenter, prospective, randomized trial evaluating a novel hemostatic agent in spinal surgery. Spine 2001; 26:1645-1650. 32. Jacobs JB. Use of Floseal in endoscopic sinus surgery: operative techniques in otolaryngology. Head Neck Surg 2001; 12:83-84. 33. Oz MC, Rondinone JF, Shargill NS. Floseal matrix: new generation of topical hemostatic agent. J Card Surg 2003; 18:486-493. 34. Richter F, Schnorr D, Deger S, et al. Improvement of hemostasis in open and laparoscopically performed partial nephrectomy using a gelatin matrix-thrombin tissue sealant (Floseal). Urology 2003; 61:73-77. 35. Bak JB, Singh A, Shekarriz B. Use of a gelatin matrix thrombin tissue sealant as an effective hemostatic agent during laparoscopic partial nephrectomy. J Urol 2003; 171:780-782. 36. User HM, Nadler RB. Applications of floseal in nephron-sparing surgery. Urology 2003; 62:342-343. 37. Stifelman MD, Sosa RE, Nakada SY, Shichman SJ. Hand-assisted laparoscopic partial nephrectomy. J Endourol 2001; 15:161-164. 38. Kletscher BA, Lauvetz RW, Segura JW. Nephron-sparing laparoscopic surgery: techniques to control the renal pedicle and manage parenchymal bleeding. J Endourol 1995; 9:23-30. 39. Jeschke K, Peschel R, Wakonig J, Schellander L, Bartsch G, Henning K. Laparoscopic nephron-sparing surgery for renal tumors. Urology 2001; 58:688-692. 40. Janetschek G, Hobisch A, Peschel R, Bartsch G. Laparoscopic retroperitoneal lymph node dissection. Urol 2000; 55:136-140. 41. Molina WR, Desai MM, Gill IS. Laparoscopic management of chylous ascites after donor nephrectomy. J Urol 2003; 170:1938. 42. Kram HB, Ocampo HP, Yamaguchi MP, Nathan RC, Shoemaker WC. Fibrin glue in renal and ureteral trauma. Urology 1989; 33:215-218. 43. McKay TC, Albala DM, Gehrin BE, Castelli M. Laparoscopic ureteral reanastomosis using fibrin glue. J Urol 1994; 152:1637-1640. 44. Wolf JS Jr., Soble JJ, Nakada SY, et al. Comparison of fibrin glue, laser weld, and mechanical suturing device for the laparoscopic closure of ureterotomy in a porcine model. J Urol 1997; 157:1487-1492. 45. Anidjar M, Desgrandchamps F, Martin L, et al. Laparoscopic fibrin glue ureteral anastomosis: experimental study in the porcine model. J Endourol 1996; 10:51-56. 46. Bhayani SB, Grubb III, Andriole GL. Use of gelatin matrix to rapidly repair diaphragmatic injury during laparoscopy. Urology 2002; 60:514i-514ii. 47. Canby-Hagino ED, Morey AF, Jatoi I, Perahia B, Bishoff JT. Fibrin sealant treatment of splenic injury during open and laparoscopic left radical nephrectomy. J Urol 2000; 164:2004-2005. 48. Martinowitz U, Saltz R. Fibrin sealant. Curr Opin Hematol 1996; 3:395. 49. Banninger H, Hardegger T, Tobler A, et al. Fibrin glue in surgery: frequent development of inhibitors o bovine thrombin and human factor V. Br J Heamatol 1993; 85:528-532. 50. Ortel TL, Charles LA, Keller FG, et al. Topical thrombin and acquired coagulation factor inhibitors: clinical spectrum and laboratory diagnosis. Am J Hematol 1994; 45:128-135. 51. Rapaport SI, Zivelin A, Minow RA, Hunter CS, Donnelly K. Clinical significance of antibodies to bovine and human thrombin and factor V after surgical use of bovine thrombin. Am J Clin Pathol 1992; 97:84-91. 52. Lawson JH, Pennell BJ Olson JD, Mann KG. Isolation and characterization of an acquired antithrombin antibody. Blood 1990; 76:224-2257. 53. Zehnder JL, Leung LL. Development of antibodies to thrombin and factor with recurrent bleeding in a patient exposed to topical bovine thrombin. Blood 1990; 76:2011-2016. 54. Tisseel VH fibrin sealant, http://www.tissuesealing.com/us/products/biological/ monograph. cfm, April 9, 2004. 55. Hino M, Ishiko O, Honda K, et al. Transmission of symptomatic parvovirus B19 infection by fibrin sealant used during surgery. Br J Haematol 2000; 108:194-195. 56. Morita Y, Nishii O, Kido M, Tutsumi O. Parvovirus infection after laparoscopic hysterectomy using fibrin glue hemostasis. Obstet Gynecol 2000; 95:1026. 57. Tateishi J, Kitamoto T, Ishikawa G, Manabe SI. Removal of causative agent of Creutzfeld-Jakob disease (CJD) through membrane filtration method. Membrane 1993; 18:101-110. 58. Sebesta MJ, Bishoff JT. 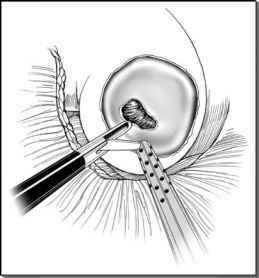 Octylcyanoacrylate skin closure in laparoscopy. J Endourol 2003; 17:899-903. 59. Ramakumar S, Roberts WW, Fugita OE, et al. Local hemostasis during laparoscopic partial nephrectomy using biodegradable hydrogels: initial porcine results. J Endourol 2002; 6:489-494. 60. Coseal, http://www.baxter.com, April 9, 2004.